Winter’s not really a time you can enjoy your garden. The ground’s frozen solid, many plants have dropped their leaves, and it’s simply too cold to stay out there for a long period of time. That is unless it snows. If you’ve got children you’ll know how much fun they can have in the stuff… Until they get cold at least. Snow does have benefits to your garden though, and you can read about them in our recent blog post, “There Are Benefits To Snow, We Promise”. In today’s blog we’re actually looking at things that you can do to your garden over the Winter months in order to help it prosper and grow. Digging over the garden is a simple job, but it can have huge benefits. As long as your soils not frozen or waterlogged you can do this at anytime. It’ll help to loosen the soil, as well as stopping weeds from growing. You can also take this opportunity to add compost and manure which will help plants to grow in the spring. Winter can take its toll on garden paths with them getting covered in all sorts of leaves, moss, lichen and weeds. That’s why it’s a great time to give your paving a good brush and clean. 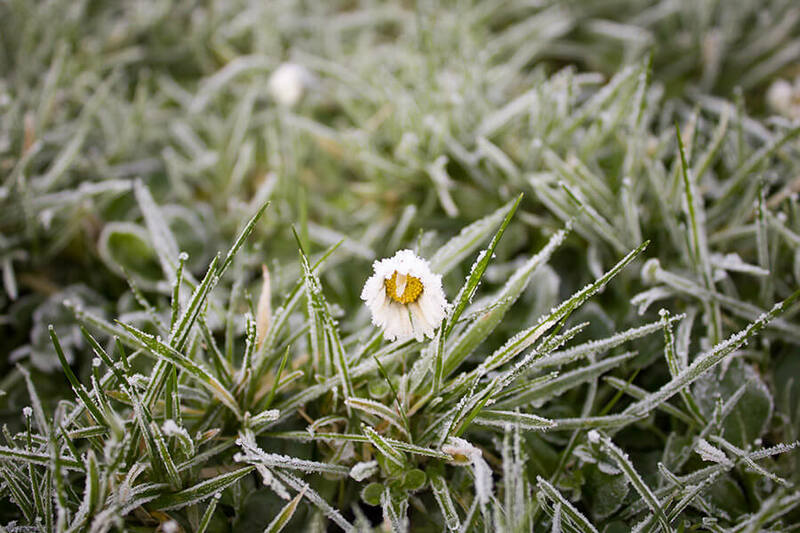 Many plants will happily live through the tough winter months, however more brittle and fragile plants may need a helping hand, especially in the frosty months like January and February. French Lavender, Bay and myrtle should be brought undercover or close to the house, if this isn’t possible, fleece them where they are. Wisteria and grape vines should be pruned. Food is scarce in the Winter, so the local wildlife may need a helping hand. Trees and shrubs such as guelder rose, yew, holly, hawthorne and blackthorne can provide animals with the nutrition they need over these harsh months. Alternatively, hang bird feeders and supply other food. Also, like us, birds need water, however they can’t get to it when it’s frozen. A handy trick from the RSPB is to place a ball in bodies of water, such as ponds and bird baths. The movement alone can prevent water from freezing, however if the water does freeze just remove the ball to create an ice free hole!